None of the statements on this website have been evaluated by the United States Food and Drug Administration. CBD products are not intended to diagnose, treat, cure, or prevent any disease. A doctor's advise should be sought before using CBD products especially if you have a serious medical condition, use prescription medications, are pregnant, or are nursing a child. Our household saw first hand just how traumatic perimenopause can be. My wife went from being our rock for 18 years to completely coming unglued over the span of a few months. The advice of her many doctors only made things significantly worse. In fact, half of the suffering she went through was a result of medications they prescribed. Here's the standard reply from the medical community. "Here's your Lexapro, Blood Pressure meds, and Sleeping pills". I won't get into the roller coaster we were put on but it all culminated in 3 days without sleep, yet another ER visit, and a bad anti-nausea drug that interacted with her Lexapro to nearly send her into a psychotic break. We're only now getting over the anger. We had to learn on our own, eventually finding a naturopath who actually looked to get to the root of what's going on. Even with her, there are things we've learned more in-depth and that's just the way things are now. You have to be your own advocate in today's healthcare. In highsight...and believe me...there's a debris field of hindsight in 2017, it's all so simple. We'll explore these three based on everything we found. Also, try to find a good doctor who knows her stuff. Unlike my wife's OBGyn who's recommendation?? Otherwise, prepare to be enthralled by the change that is perimenopause. We promise it will be easy. Easier than waking up with night sweats and racing hearts for NO reason!! We only have 4 years (average length of perimenopause). Okay...not funny...but if you don't laugh, you'll cry. Simply put, perimenopause is a transition of hormone levels! Yes, we're going from having periods and being able to produce eggs to menopause, where the period ends. But the "transition" is one of hormones. Hormones are so powerful in the body! Just look at the chaos brought on by the other transition, puberty! If you're really lucky like my wife, you'll get to have teenagers WHILE going through perimenopause. Not on our worst enemies! This change is really what drives the train and also the symptoms. We'll get into them later. This transition, which can last an average of 4 years ends when you have not have a period for 12 consecutive months. The problem is that there can be some really nasty symptoms. Let's take a look at those. Interestingly, we found that women don't really talk to each other about perimenopause or what they went through. Only after my wife basically dropped out for half a year (people thought she had cancer) and we told people what happened, did their stories start to roll out. There are lots of women suffering out there...in silence! The possible symptoms and severity are as varied as the women that have them. At the root of most of these changes is a hormonal shift. We'll get into that below. The average age to start perimenopause is in the mid 40's. That being said, women are entering perimenopause at an earlier and earlier age. Similar to what we're seeing with puberty. Female hormones actually start to decrease in our mid 30's but the the early perimenopause speaks to something else. The sea of hormone mimicking and disrupting chemicals that our bodies are inundated with. Evolutions moves really slowly and the change in both perimenopause AND puberty speak to something environmental. Again, perimenopause is a transition primarily of hormones so let's really get into that. Ideally in her early to mid 30's if possible. Basically, when you're feeling great! Establish what those levels are. Also, make sure to get the full panel! There are three estrogens...not just one! The Dutch Test is the gold standard. My wife and I had to learn the hard way just how important hormones are in the body. Progesterone is intimately tied into SO many systems in the body. Forget about the whole fertility need...how about just feeling great! Maybe most importantly, progesterone protects the brain! There's a great overview of just how important progesterone is in ways that have nothing to do with fertility! When we were at our absolute lowest point, we started bioidentical progesterone and the effects were almost immediate (and damn near miraculous!). This was after another doctor put her on progestrin, a synthetic hormone (essentially birth control) that has none of the protective features but actually causes more issues. Required reading since you're bound to run into a doctor who is ill-informed. That same doctor who prescribed the synthetic hormone told my wife as we were leaving the office that she was going to have a stroke from hormone replacement!! Great thing to say to a woman in the throes of anxiety from perimenopause (again...anger). Again, we want to look at estrogen for all its attributes that have nothing to do with fertility. Estrogen is another hormone intimately tied to entire systems in the body! Basically, a doctor came out in 2002 and scared women and doctors over supplementing estrogen for hormone replacement. Millions of women were warned by their doctors and they came off of estrogen. The amount of suffering that this one act causes is incalculable. It's STILL affecting millions of women now! As estrogen decreases in a woman's body, the effects are horrifying. Um..did I just copy/paste the same symptoms from perimenopause above?? You can see that perimenopause IS hormones dropping. Now, make sure to get bioidentical and focus on estradiol which is actually cancer protective! There's a ratio between progesterone that's important but you'll likely need both. You can also see how your body metabolizes estrogen which is very important. These hormones are NOT just about having babies. They are about feeling well and aging even better! Let's look at one more. Many women think testosterone is the "guy's" hormone but it's incredibly important to women as well. A recent study found that testosterone levels are tied to sense of well-being and confidence in outcomes. The dutch test will determine where your hormone level is for this as well. For a few months, it was really really bad. Throw on all the medications (multiple blood pressure meds, heart medications, sedatives, SSRI's, and more). We almost didn't make it out. She is 99% there and the other 1% is the residual trauma from the medication's effects. You have estrogen receptors in the ligaments of your feet!! Oh...and my wife suddenly got Plantar Fasciitis. So what does all this have to do with CBD? Hormones are made by the endocrine system. There just happens to be a system right above it which is in charge of balancing hormones. We all have one running through our bodies with naturally made endocannabinoids (such as Anandamide and 2-AG). Since perimenopause and it's symptoms are primarily a function of hormones as described above, a health endocannabinoid system is a good place to start. Therefore, as with estrogens, progesterone appears to regulate endocannabinoid signaling in a cell type-specific manner in peripheral tissues via the control of FAAH expression and activity. Since estrogen and progesterone are both dropping due to age from about in the mid 30's until perimenopause, we would love to see research on the impact of this reduction and the proper functioning on the endocannabinoid system. If you look at all the issues that are positively affected by supplementing the endocannabinoid system (anxiety, depression, sleep disruptions, temperature regulation, skin/bone growth, etc), they sound very similar to issues that accompanying perimenopause. That speaks to a hormonal tie (female) and a possibly a change in hormones (over age 40). Autoimmune diseases are seeing a great deal of interest in terms of CBD. 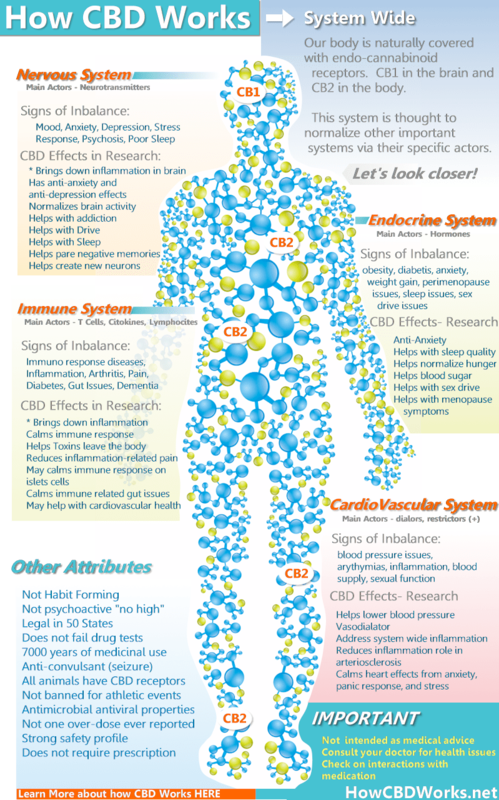 Check out the research on CBD and autoimmune here. In fact, interruption of the endocannabinoid system is being connected to early menopause. Maybe it's the other way around since estrogen helps to moderation endocannabinoid signaling! Estrogen mimickers and disruptors in our makeup, food, plastics, and more. Let's look at a very specific trait of perimenopause...temperature regulation. It's almost a calling card of perimenopause. Yes, it's your natural endocannabinoid. The largest one by volume in your body. Guess what chemical is in charge of temperature regulation? Now guess what substance can boost anadamide and the endocannabinoid system in general. Let's look at that now for perimenopause. Let's go right through the laundry list of perimenopause symptoms we're hoping to get relief from. This is one of the main reasons women search for, find, and use CBD. 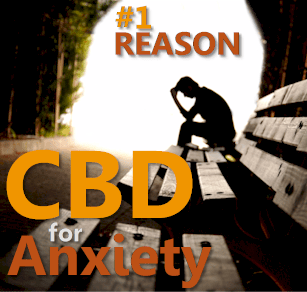 We have entire section on CBD and Anxiety or CBD and Depression with all the research. This is all a function of CBD's ability to help stabilize mood. Mood is intimately tied to hormone levels which are in flux during perimenopause. The go-to response to most women walking into their doctor with perimenopause related anxiety or depression is an SSRI. It's like candy for the doctors. They don't always tell you the side effects or just how excruciating it can be to come off of them. I've seen it first hand. Lexapro left us with 3 nights of no sleep, an ER visit, and suicidal thoughts. That wasn't mentioned when the doctor gave us the prescription. Look...work with a good doctor but learn about CBD at the page above. We mentioned above how Anandamide, your largest endocannabinoid, is in charge of the thermostat. The fact that it goes haywire during perimenopause sheds further light on the how falling hormones may interact with the endocannabinoid system's function. They actually found this out while researching psychotic behavior. Anandamide is called the "bliss" chemical for it's calming feeling. Moreover, cannabidiol treatment was accompanied by a significant increase in serum anandamide levels, which was significantly associated with clinical improvement. 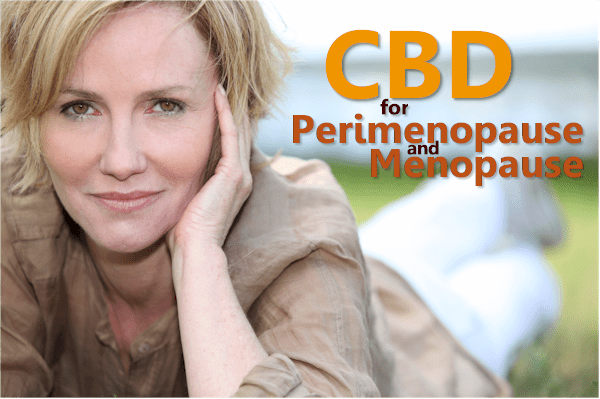 As we mentioned before, we've written extensively on CBD's effects for all the perimenopause symptoms (coincidence??). Sleep quality or Insomnia is no different. You can check out the CBD and sleep article here. This is one of the top 3 reasons that women use CBD. Keep in mind that your body temperature has to drop a few degrees to even enter sound sleep at night. If your thermostat is off, that's never going to happen! You just found the 3rd most popular reason that women use CBD. Anxiety and Insomnia being the other two. Hmmm...all are major symptoms of perimenopause. Anyway, CBD has been shown to be a powerful analgesic (reduces pain). 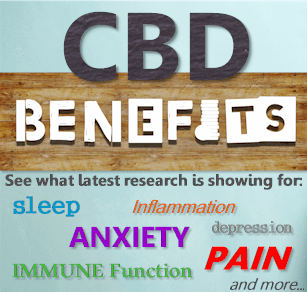 Check out the CBD and Pain page for research and detail. Women need to look at hormone levels and consider bioidentical progesterone, estradiol, and testosterone. Secondly, CBD may be a useful ally during this stage of transition. More importantly, it can aid a woman's body to remain healthy and vibrant. There are studies on CBD's effects for everything from bone loss to libido to mental and heart functioning. These are are vital at any age! You can check out the CBD for Women article here. 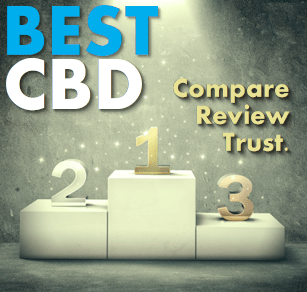 Please leave us feedback on your experience with a brand of CBD or results! We need to help others get relief from pain. "I was lost...there's so many CBD products out there. Thank you for making this all make sense!" "I literally lay down and I'm out. I wake one to use the bathroom and them I'm out again til morning. I almost NEVER am able to sleep like that! It's pretty awesome"
"I feel like my body is oddly more flexible in the gym if that makes sense. I do notice that I sleep deeper." "CBD is the only way I get through the night. It's been a life-saver for me. Thank you for the research!" "I love the comparison! It's impossible to figure out what's being offered and for how much. Thank you so much! I'll make sure to send my CBD story to you!" "I had no idea how important the lab results were with CBD. I won't touch it without first seeing what's in there now." "I was spending sooo much energy fighting off negative thoughts before CBD. I have so much more energy now." "Thank you so much for your marvelous work. I've told all my family members to check out the how it works page. Simple enough for even me to understand!" Understand how CBD works and what it might do for you!